Two researchers with the San Diego Supercomputer Center (SDSC) at the University of California San Diego are editors of a just-published book that explores the latest developments in electronic structure calculations on modern computer hardware and explains how graphics processing units (GPUs) can be efficiently exploited to perform such calculations more rapidly than previously possible. 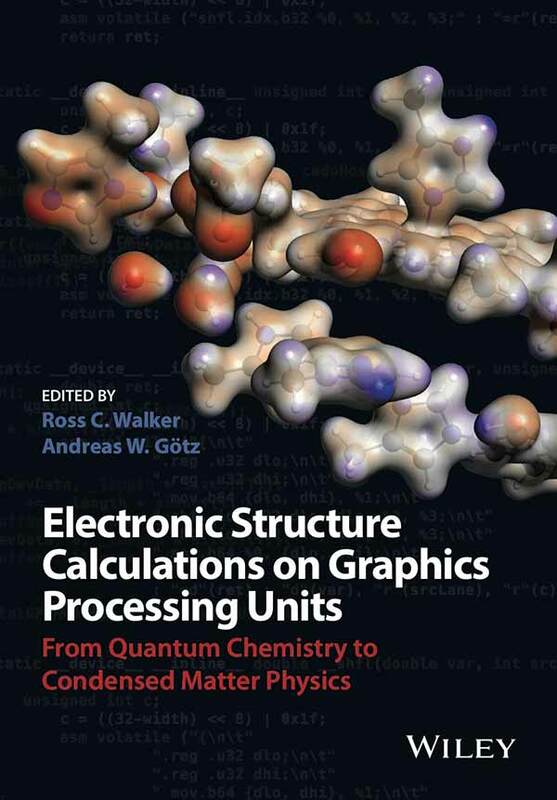 The book, entitled “Electronic Structure Calculations on Graphics Processing Units – From Quantum Chemistry to Condensed Matter Physics” is co-edited by Ross Walker, an associate research professor with SDSC and adjunct associate professor in UC San Diego’s Department of Chemistry and Biochemistry; and Andreas Goetz, a computational scientist with SDSC and co-director of the NVIDIA GPU Education Center at SDSC. Walker and Goetz, who authored three of the 14 chapters, introduce readers to GPU programming concepts and the essential background on electronic structure theory while the remaining chapters provide the latest examples of code developments and applications for the most widely used electronic structure methods. Electronic structure calculations are used in fields as diverse as chemistry, molecular biology, and materials science, while GPUs, originally designed for video games, are now used across a wide range of science domains to solve computationally intensive tasks very efficiently. Understanding the electronic structure of molecules and materials is of fundamental importance because it permits scientists to better understand the behavior of matter at the nanoscale while allowing for the design of improved materials, drugs, and other key chemicals. Since electrons are very small elementary particles that move according to the laws of quantum mechanics, this requires solving the electronic Schrödinger equation. The book went on sale in Europe on March 21st and is available in the U.S. starting this month. To purchase the book on Amazon please click here.